Remember the invites sent out last week by Amazon for a special press vent held on September 28th? 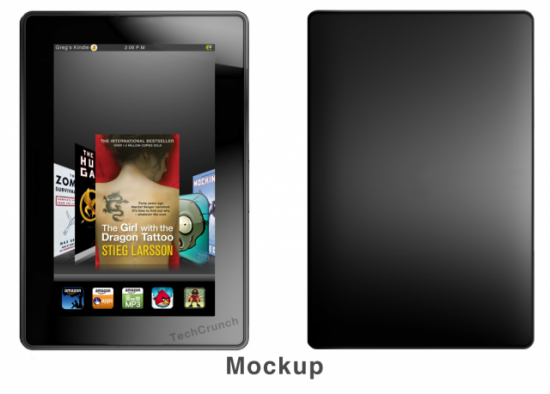 Well, now it has become official: they’ll unveil the Amazon tablet dubbed Kindle Fire. The event will take place in New York City and the name “Fire” is meant to set apart the slate from the e-Ink Kindle models. Amazon CEO Jeff Bezos will be present on stage to unveil the device, that will ship in the second week of November, according to recent info. The tablet will be a 7 inch backlit model very similar to the BlackBerry PlayBook, according to people close to the situation. 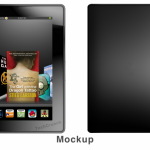 Kindle Fire was built by the same company that built the PlayBook, Quanta, so that’s the cause of the resemblance. It seems Amazon is hoping to capitalize massively on the upcoming holiday season and sell quite a bunch of these units. People who have already played with the Kindle Fire ensure us that the device is extraordinary and that its software is better than the PlayBook’s, plus the content is a lot better. Amazon included as OS its own customized version of Android and its very own Android Appstore. The retailer will also be providing TV shows and movies via its streaming video service, that will be very available and handy on the tablet. Amazon’s MP3 service and bookstore will also have a vital role on the Fire, we’re told. As far as hardware goes, we’ll see a TI dual core OMAP chipset, probably at 1.2GHz. With a $250 price tag and all of these hot features, I’d be surprised if the Kindle Fire didn’t sell millions of units this year. As you might already know, the joint team of Mobilissimo.ro, our sister site and us, Tablet-News.com was present at the Lenovo Do Tour 2011 event, taking place in Romania. This involved a bunch of Lenovo trucks, carrying around the latest in tablets, laptops and other similar gear. Among the devices we had the pleasure to experiment with there was the Lenovo ThinkPad tablet, a business slate that was really interesting. The device comes with a stylus and last I heard, this model was available in the USA for $479, in the 16 GB WiFi version, but without a stylus. As far as business features go, we have text recognition from the Notes app interacting with the stylus, plus solid encryption and a solid array of ports. Lenovo ThinkPad Tablet comes with a mini HDMI port, a microUSB port, an audio jack, a SD card slot, a microSD card slot, a proprietary dock port and a full USB port. You’ll also find 4 physical buttons below the display: Back, Home, Internet and a mysterious button that might serve to change the orientation of the on-screen image. The ThinkPad Tablet runs Honeycomb in a customized version, that includes a Lenovo app store, a main widget with media playback, Internet browser and customizable features, plus an efficient multitasking system. The set of apps that are usually open in Honeycomb from the lower left side are now available for closing, by pressing the X they have attached. As far as hardware goes, this slate uses a 10.1 inch display with a 1280 x 800 pixel resolution, plus a 5 megapixel camera at the back, a 2MP one upfront and support for connectivity of the WiFi, Bluetooth and 3G kind. There’s also a SIM slot on board, in case you were wondering. Finally, Android 3.x is aided by a Tegra 2 CPU and 1GB of RAM. It looks like the Kindle won’t be alone out there anymore and neither will the Nook, since we’ll have the Kobo Vox eReader to keep us warm during the long winter nights. This device has just reached the FCC and it’s a pretty clear reworked edition of the Kobo ereader touch, although some say it could be a totally new slate. The FCC listing says “eReader tablet”, so maybe the unit is more like the Barnes & Noble Nook Color or the Kindle Tablet, rather than your average book reading gear. Keep in mind that Kobo was also spotted during the recent f8 event that detailed the latest in Facebook, so we might see some special social integration here. As far as we know, the device is one that packs a touchscreen and its design reminds me more of the latest Nook than the latest Kobo. A microUSB port is revealed by a shot from the FCC, as well as an audio jack and a multimedia headset it supposed to be bundled with the tablet. Also expect a microSD card and WiFi to be here. Pantech’s P4100 is Honeycomb 3.2 tablet that’s supposed to feature a 1.5GHz CPU and headed to AT&T, apparently. This model is based on the Snapdragon chipset with Adreno 220 GPU and an anonymous source is saying that the US carrier I mentioned is the “target”. This dual core slate shouldn’t be any different from other models and it should pack a 7 inch display, that’s usually associated with Android version 3.2. Resolution will be around 1024 x 720 and if you want a resemblance, this model has the same processing power as the HTC Jetstream, the latest 10 inch tablet from HTC and the first with such a diagonal. We know that Pantech has been very active lately, also preparing a bunch of smartphones, but sadly they favored Asia for launches and not Europe or the US. Let’s hope that the P4100 will break the ice in the West. The folks of techrepulic decided to take apart the 9.4 inch slate and tear down its components to see what’s inside. What they found is, among others, a plastic frame that covers the components, for extra rigidity and sturdiness. The idea is the same as the one involved with the magnesium alloy frame in business laptops made by Lenovo and HP. The problem with this plastic frame is that it makes repairs more complicated. Another thing to note is that the case is easy to break open for the Sony Tablet S, since its maker relied on normal screws. The user can even replace the battery by himself, in case the battery life has become too little. The teardown finally reveals a remote control chip, a voice processor and places for 3G and 4G cards, so such versions are expected. Motorola XOOM 2 Pictured, Comes With 7 Inch Display! This device looks very slim, extremely slim actually and it seems to be running Honeycomb. Considering how new this model is and the affiliation of Motorola to Google, I’m expecting Android Ice Cream Sandwich on it ASAP. WiFi and Bluetooth should be on board, as well as 3G/4G, a microUSB port and most likely a HDMI one as well, in the micro version.